A system that offers a wide range of cooking methods for many different applications is now available from Interfood Technology. 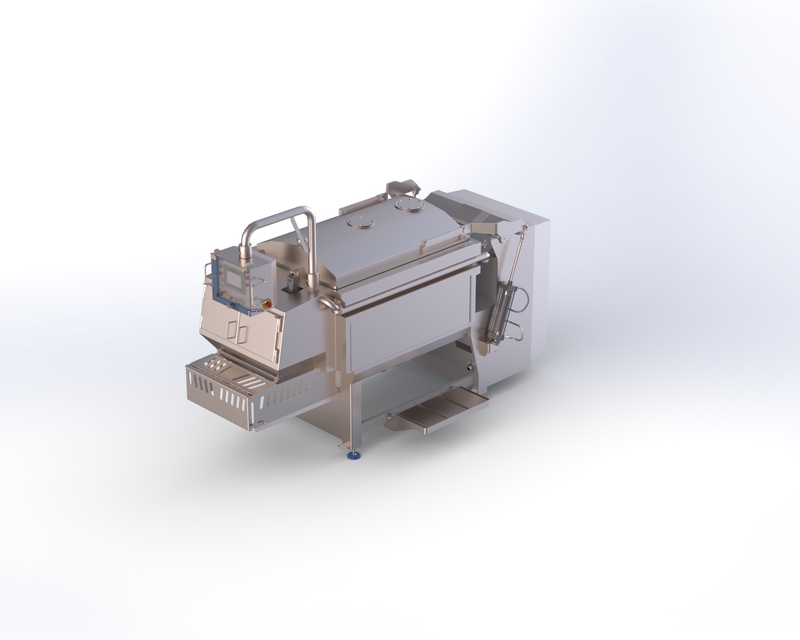 The company is the sole supplier in the UK and Ireland of the Hot-Cook system from Alco Food Machines. The technology can be used for various products – from sauces and stews to fillings and ready meals. It is based on a double-jacketed mixing vessel, which is heated by steam or thermal oil, with temperatures of up to 210°C or 190°C achieved respectively. An energy-saving feature is the insulation of the vessel with ceramic materials and a complete weld to seal it. The paddles that move the product around the vessel are manufactured from a temperature-resistant and food-safe material, with spring-mounting to ensure gentle treatment of the product and to reduce wear and tear. Paddle speeds are adjustable depending on the product being cooked. The vessel’s lid retains steam and energy to reduce cooking times. And the backward-opening lid means that the mixer can be filled from either side of the vessel, which helps to speed up the cooking process. Extracting the cooked product is also safe and easy, according to the company, via a knee-lever system and sealed doors, which are opened and closed by compressed air. A touchscreen allows recipes to be created, stored and amended, with easy retrieval of the recipes to ensure repeatability and, therefore, end-product consistency. Cooling is also available as an option: either water-based or through the injection of carbon dioxide and nitrogen.